Ilsa, 17, is currently a freshman in college at the University of Oklahoma. She is studying pre-med. 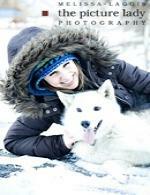 She became interested in mushing at the age of eight in Colorado, from a friend and her mom who were involved in sprint racing.